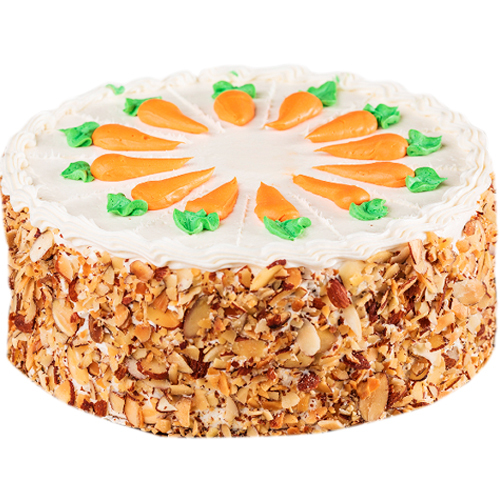 This Almond Delightful Cool Cake is beautifully decorated with almonds and is quite a treat. Send cakes online and convey best wishes to your loved ones. Our cakes are ideal for all occasions such as anniversaries,retirement, graduation, baby shower etc but they are especially suited for birthdays. You can choose any flavour with your own choice. We offer home delivery service and special midnight delivery service for your convenience.